With all these benefits, plus several more, there has never been a better time to update your maintenance management system and get all the benefits of working with an online CMMS. Building from the idea of getting online, our next step is to get mobile. Mobile apps have completely altered the way companies are able to operate by streamlining simple tasks and putting the most important pieces of a software into the hands of those that use it the most. In the case of maintenance management, that means your techs and mechanics. With a mobile CMMS, your team has the ability to quickly and easily create, track, and close work orders, check out parts, get asset and equipment information, and ensure their time is accounted for and work is credited to them. With a mobile app for maintenance management, there is nearly zero time wasted in completing these important, every-day tasks. Your team never even has to sit down at a computer if they don't want to. Plus, with your web application's scheduling tools, all the work and information your team members need to see is always at their fingertips, and available in real time. Pretty much anything else that we can dream up to improve your maintenance management. 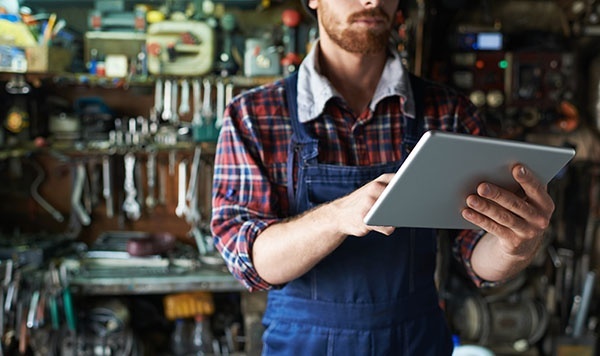 The future of maintenance management software is tied to our ability to intelligently tie it with the Internet of Things to create new products beyond anything previously considered possible. As always, there are many more details to be understood before making the decision to update or replace an important piece of business software like a maintenance management system. Understanding the benefits of newer technology is just one of those details. To learn more, check out the rest of our website, click the orange button below, or join us for one of our webinars. This month's webinar is titled: How the Internet of Things Will Change the Future of CMMS, and we're very excited about it. You can sign up here. We'd love to hear from you, so go ahead and leave a comment below. Want more articles like this? Subscribe to our weekly newsletter and receive updates and new content delivered straight to your inbox.